Prepare to be overwhelmed by towering temples, colonial beauty, dazzling colours and fascinating cultures. 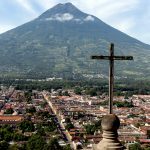 Guatemala has so much on offer to captivate travellers and this 15-day tour has been designed to bring together all the elements that make Guatemala such a magical holiday destination. Our Captivating Guatemala Tour offers the perfect combination of stunning scenery, traditional villages, fascinating Mayan archaeological sites and vibrant current day cultures. It takes travellers on a journey of discovery to three corners of the country and provides an exciting, authentic and varied introduction to this captivating country. This is a private tour and you will be accompanied by an English-speaking local guide and driver throughout. All activities and excursions are private (only for you). The price displayed is per person based on two people sharing. All tours can be tailor-made to suit your interests and requirements. This tour combines Guatemala’s many cultural and natural highlights, allowing you to discover the stunning scenery of the Western Highlands, Antigua’s beautiful colonial architecture, fascinating ancestral and current day Mayan culture and impressive archaeological sites. Along the way you’ll visit many small traditional villages, savour local flavours at family-run restaurants and learn about the Guatemalan way of life. The tour starts in the colonial gem of Antigua, former capital of Guatemala, and now a designated UNESCO World Heritage Site. Antigua boasts some of Latin America’s most beautiful and well-preserved colonial relics as well as a truly stunning location, being set between three volcanoes. A visit to the Guatemala wouldn’t be complete without an up close and personal encounter with a volcano – so next stop is the crater of Pacaya – one of the most active volcanoes in the country! The highlands of Guatemala are home to some of the country’s most beautiful sceneries, and it is here that indigenous culture is at its strongest. 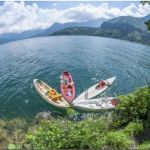 The next three days of the tour are spent exploring the surroundings of stunning Lago de Atitlán, and the many traditional villages that dot its shorelines. Here you’ll be able to learn about ancestral beliefs and ancient knowledge, and gain an understanding of current day Mayan culture. You’ll also discover local art, its influences and learn about traditional handicrafts. Guatemala produces some of the world’s best coffee, and you’ll have the opportunity to try some during a visit to an organic coffee cooperative. The crystal clear waters of the lake, with views of volcanoes in the background, provide the perfect setting for for some swimming and relaxing. After enjoying the beauty of the Western highlands and Lago de Atitlán, you’ll start your journey towards the north, and the heart of the ancient Mayan Kingdom of Tikal. Along the way we’ll stop at Semuc Champey, famed for its 300-metre long limestone bridge on top of which are a series of turquoise pools, perfect for bathing. Next stop are the Candelaria Caves, significant for both their peculiar karst phenomena and their importance in Mayan culture, some believing them to be the entrance to the underworld. 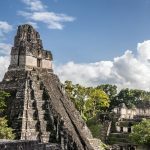 Tikal is one of the few places in the world to be recognised by UNESCO for both its natural and cultural significance, and this is the next stop on the journey. Here you will be able to explore the ancient Mayan kingdom and be overwhelmed by its vast and towering pyramids, palaces and temples, located deep in the heart of lush jungle. The last part of our tour takes us to Guatemala’s short but fascinating Caribbean coast. From Rio Dulce, you’ll take an unforgettable boat ride through beautiful jungle scenery, to reach the ocean. You’ll have the opportunity to relax on a chilled white sandy beach at Playa Blanca, and swim in warm Caribbean waters. 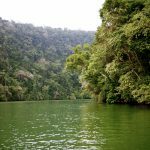 After a short boat ride, you’ll arrive at the town of Livingston to discover a completely different side of Guatemala. The town is the main Garifuna enclave of the country, and is quite unlike anywhere else, having developed a very distinct culture incorporating African, indigenous and European elements. On your way back to Antigua, you’ll stop off at another UNESCO World Heritage Site, Quirigua. 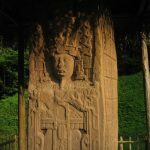 The Quirigua Archaeological site is one of the major testimonies to the Mayan civilisation and contains some outstanding 8th-century monuments. After a visit to the site we’ll continue our journey back to Antigua for one last night before your flight home the following day – or perhaps your next Central American destination! 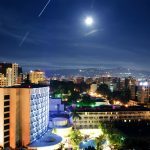 Welcome reception and transfer from Guatemala City airport to your comfortable hotel in the Colonial City of Antigua (approx. 1 hour). On the way, our guide will give you lots of useful information for you to make the most of your time in Guatemala – and to answer any questions you may have. The rest of the day is free for you to relax after your flight or explore the city on your own. After breakfast, you will be picked up for a guided cultural tour through the beautiful historic centre of Antigua. The city was designated a UNESCO World Heritage Site in 1979, and boasts many magnificent colonial relics. 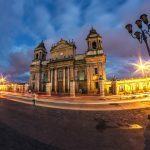 A few examples of impressive colonial architecture in this former Guatemalan capital include the Cathedral, the General Captain's Palace, the House of Coins and the University of San Carlos. You’ll then have the rest of the day to explore the streets of Antigua at your own pace, as well as its museums, artisan markets and jade shops. After breakfast, morning transfer to Pacaya Volcano (approx. 1 hour). There are several volcanoes surrounding Antigua (Agua, Fuego and Acatenango) but Pacaya is ideal for an up close and personal encounter! 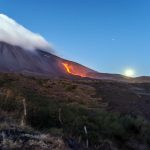 It is one of the most active volcanoes in the country, and travellers often have the chance to see lava at the bottom of the crater. With an elevation of 2,552 metres, there’s also the opportunity to enjoy views of the surrounding countryside during the visit. After time for lunch, you’ll be picked up and transferred to Panajachel (approx. 3 hours). Upon arrival you’ll check-in to charming hotel and then have a free evening to explore the town on your own. This will be your first of four nights near the shores of the stunning Atitlán Lake. After breakfast, transfer to San Juan La Laguna (approx. 30 min), a quiet village where the locals have organised themselves to welcome and accommodate tourists in a very authentic way. 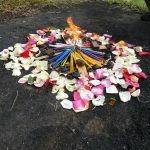 Here, you will learn about ancestral knowledge and Tz’utujil Mayan art, expressed through weaving techniques, natural dyes, medicinal plants and primitive painting. You will have lunch at a local restaurant and in the afternoon, we'll visit an organic coffee cooperative, to learn about the cultivation and processing of one of the best coffees in the world. You will be spending the night at a small posada (B&B) owned by a local family. Free evening. After breakfast, transfer to San Marcos La Laguna (approx. 30 min). This morning we will visit the Tzankujil Park, the perfect setting to appreciate the scenic beauty of the Atitlán Lake and dive into its crystalline waters. After time for lunch, we’ll transfer to Santiago Atitlán (approx. 30 min). This is the largest town around the lake, and is overlooked by volcanoes Tolimán and San Pedro. Tonight you will stay at a beautiful ecolodge on the lake. Free afternoon and evening to explore Santiago. After breakfast, you’ll go on a cultural tour of Santiago with a guide from the local community. In the afternoon, we’ll transfer to San Antonio Palopó (approx. 30 min), a town of Kaqchikel origin. Here you’ll visit a cooperative of artisans who work on hand painted ceramics. Later, we will transfer to Panajachel (approx. 30 min), where you’ll check-in to your charming hotel for your last night in the Western Highlands. After breakfast, transfer from Panajachel to Chichicastenango (approx. 1 hour), home to one of the most famous markets in Guatemala. During market days, the town is bustling with artisans, locals and tourists. 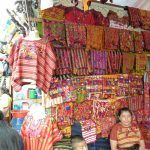 It is a great opportunity to experience a traditional market and its almost overwhelming array of vibrant colours and patterns. After time for lunch, we will transfer to Santa Cruz del Quiché (approx. 30 min). Upon arrival, check-in at a well-located hotel. 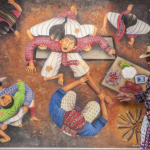 In the late afternoon, you will meet with a Nahual chaman who will teach you about Mayan ancestry and about the ceremony which will be held the next day. Free evening back at the hotel. Note: Chichicastenango market is only open on Thursdays or Sundays. After an early breakfast, you'll visit the archaeological site of Q'umarkaj. This is the ancient capital of the Quiché kingdom, of the post classic and contemporary period of Iximche. We'll participate in a Mayan ceremony to learn about the horoscope and about spiritual protectors. Afterwards, shared transfer to Cobán (approx. 5.5 hours). This is a long trip, crossing El Quiché state, but along the way there is a lot of incredible scenery to enjoy. Most of the route is paved, but there are some stretches of dirt road, but it's all easy to drive through. Upon arrival, check-in to a well-located hotel. Free rest of the day to relax or discover the city on your own. After breakfast, shared transfer from Cobán to Lanquin (approx. 2 hours). In Lanquin you will change from your shared transfer to a 4x4 vehicle to continue the journey to Semuc Champey (approx. 1 hour). Here you will have a tour of the heavenly Semuc Champey pools – a protected national monument. These stunning turquoise pools make a great place to bath, and we’ll also be able to explore the surrounding trails. After the tour, the rest of the day is free for you to enjoy the surroundings of Semuc Champey. Tonight you will sleep in an ecohostel near Semuc Champey, which offers many charming cabins in lovely surroundings. After an early breakfast, shared transfer to the Candelaria Caves. 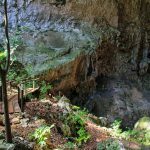 After time for lunch, we’ll visit the Candelaria caves, a large natural karst cave system. The caves have a particular importance in Mayan culture, and are believed to be the entrance to the underworld for some of the Mayan people. The caves were also used as part of a trading route during the classic Mayan period, and artefacts in the caves evidence their use for ceremonies. The rest of the day is free to relax or explore. Tonight you will sleep at a beautiful lodge surrounded by greenery near the Candelaria Caves. After breakfast, prepare for a tubing experience on the Candelaria river, surrounded by lush jungle and unbelievable scenery. Around noon, shuttle transfer towards the wonderful Tikal National Park. Upon arrival, check-in to an incredible lodge within the National Park. Spend the rest of the afternoon and evening at leisure, relaxing at the lodge or in the swimming pool. 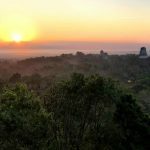 After breakfast, get ready to explore the ancient Mayan kingdom and be overwhelmed by its vast and towering pyramids, palaces and temples located deep in the heart of lush jungle. Tikal is one of the few UNESCO World Heritage Sites to be recognised for both its cultural and natural significance. In the afternoon, transfer to Isla de Flores (approx. 1.5 hours), where we’ll have time for lunch. After lunch, we'll transfer by comfortable coach to Rio Dulce (approx. 4 hours) where you will spend the night in ecocabins located in the jungle. Free evening. After breakfast, you will take an unforgettable boat-ride along the jungle fringed Rio Dulce, to the Caribbean beach of Playa Blanca (approx. 3 hours). This spectacular white sand beach is the perfect place to relax, enjoy a cooling swim and some fresh seafood. That afternoon we’ll take a short boat trip to the famous town of Livingston, where you will be able to experience a completely different side of Guatemala: Garifuna culture. You’ll stay in Livingston for the night, in a stunning hotel on the water’s edge. After breakfast, we’ll transfer by boat to Puerto Barrios (approx. 1 hour), where you’ll pick up a land transfer once again to continue the journey to Quiriguá (approx. 2 hours). Here you will visit the Quiriguá Archaeological site, which used to be located at the crossroads of several important Mayan trade routes. This UNESCO World Heritage Site is famous for its monumental Classic Mayan features. After some time for lunch, you’ll transfer to Guatemala City (approx. 5 hours), and check-in at a well-located hotel in the city centre for the last night of your tour. Free evening. At the scheduled time, you will be picked-up at your hotel for a transfer to the airport for your flight back home. End of tour. 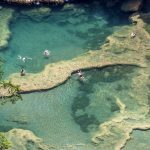 You can also add an extension to Mexico (for more Mayan heritage), to Nicaragua (the land of lakes of volcanoes) or to Costa Rica (unique wildlife and pristine beaches). No minimum number of passengers required. Prices quoted are per person and based on at least 2 people travelling. You should expect a cheaper price for a bigger group. Your passport is required at time of booking. For information on visa requirements, immunisations and health formalities please visit the FCO Travel Advice Website (for UK citizens) and US Travel Advice website (for US citizens). This tour of Guatemala has a low level of physical difficulty but participants can choose to do as much or as little as they like. What to bring: Travel insurance, passport, binoculars, alarm clock, walking shoes, water bottle, daypack, sun protection, insect repellent, sun glasses and hat, swimwear, flip-flops, torch with extra batteries, comfortable light cotton shirts with long and short sleeves, comfortable trousers made of cotton or a light synthetic material (bring at least two sets of light clothes which can be washed and dried easily), shorts, rain coat, dry bag /ziplock bags for valuables, and waterproof cover for your luggage in case of rain. Best time to travel: The country has two seasons, the rainy season (May to November) and dry season (November to May). Extra budget recommended: Around £250 / $300 pp to cover all meals, snacks & expenses not included in the in the tour. What is included: Welcome reception at the airport. Transfers (private car). Overland transport. Accommodation. Entrance fees to sites of interest, museums and national parks mentioned in the itinerary. Guided activities and excursions with English speaking guides (all private). Meals as stated in the itinerary (B= Breakfast, L= Lunch, D= Dinner). Contributions to the social projects visited. Donation to help in preserving the Amazon rainforest through agro-forestry and education. What is not included: Flights from your country of origin. Optional activities (if any). Travel insurance. Alcoholic drinks. Additional meals or snacks. Travel within and around each town. Visa fees (if any). Tips. Souvenirs. Guatemala has something to offer everyone: fascinating and distinct local cultures, amazing natural beauty, vibrant and colourful markets, a rich heritage of arts and handicrafts, plenty of opportunity for adventure, and world class archaeological sites and colonial architecture. This 15-day tour combines all of these elements and takes travellers on a journey of discovery to three corners of the country, providing an unforgettable and insightful introduction to Guatemala. Tagged as active, archaeology, Atitlan Lake, bird-watching, boating, cultural experiences, cultural heritage, ecolodge, handcrafting, indigenous peoples, jungle, Mayan heritage, Semuc Champey, sightseeing, Tikal, unspoiled beach, volcanoes, wildlife.